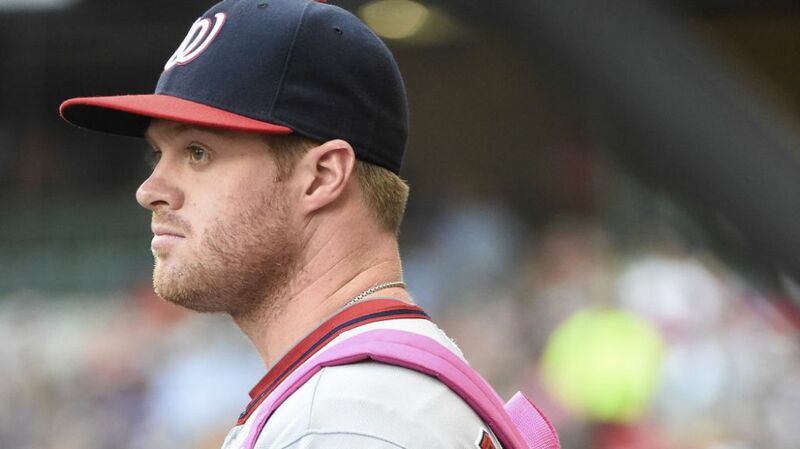 Instead of going to war in a tie game with any of his three longest serving and most effective relievers (i.e., Craig Stammen, Tyler Clippard or Drew Storen) he went with a waiver claim, a rookie, and a deposed starter with an ERA after the all-star break north of 6.00. I get bringing in Thornton to go against the first two lefties in the 7th; why the hell do you leave him in to face the Giant’s best hitter in Buster Posey? When Posey inevitably singles to put guys on first and second with one out … clearly the key point in the game and the post-season … why do you bring in a frigging rookie instead of your #1 shut-down, high leverage reliever (Clippard)? Was anyone really shocked when Barrett walked the next guy to load the bases? Was anyone then subsequently surprised when he overgripped, overcome by the moment and bounced a mid 90s fastball to the fence? Wilson Ramos looked like an amateur trying to “block” that pitch, stabbing at it backhanded like someone who’s never caught before, but whatever. The damage had already been done. If it wasn’t a wild pitch, it would have been a deep ground out, or a sac fly; the run expectancy of bases loaded with one out is more than 1.5. I won’t even go into the little league IBB wild pitch; the poor guy was clearly still thinking about the run he just gave up and the weight of the team’s season was on his shoulders. For the record, you’re not going to win a ton of games where you get just four hits. Gio Gonzalez once again proved he wasn’t up to the task, and the Nats were lucky to get out of the 5th without giving up a run (also a bases-loaded, one-out jam that Tanner Roark mostly created on his own but also mostly got out of thanks to a ballsy 2-0 changeup to Pablo Sandoval). Leadoff hitter Denard Span: 2 for 19 with one walk. #5 hitter Ian Desmond: 3 for 18. All of those hits? Singles. No power, no driving the ball from the heart of the order. Basically, the top half of the Nats lineup played four games of automatic outs. Hard to win like that. The bottom half of the lineup wasn’t much better: Cabrera was just 3 for 15 though with two clutch hits and Ramos was just 2 for 17 in the series and was a guaranteed weak ground-ball to shortstop every time. You’re not going to win games when your 3-4-5 hitters get 5 combined hits in four games, none for extra bases and none driving in any runs. Did you know that Anthony Rendon was 9-17 with a walk and scored ZERO runs in the series? He was on base TEN times in four games and never scored. That’s a huge indictment of the middle of the Nats order. The only hitters who showed up in this series were the two youngest regulars on the field; Rendon and Harper. With three homers and a double in four games (driving in four of the 9 total runs the team scored), Harper showed once again why it was folly that he was batting 6th. He drove in exactly four runs; had he been batting with Rendon on all the time, he may have batted in double that and we’re talking about a different series. 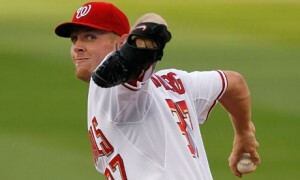 Its a bummer; the Nats offense picked a really crummy time to shut down, to make Ryan Vogelsong look like a staff ace. And they’re out in the divisional round for the 2nd time in three years despite being the #1 seed. 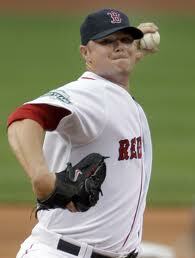 Tim Hudson: you have your answer. Would you have pulled Fister? It’s only fair to discuss, since we just saw Matt Williams pull another starter in the midst of a shutout and sitting right at 100 pitches. That’s where Doug Fister stood after completing 7 innings last night before giving way to the conventional 1-2 punch of Clippard-Storen to finish off the Giants in Game 3. 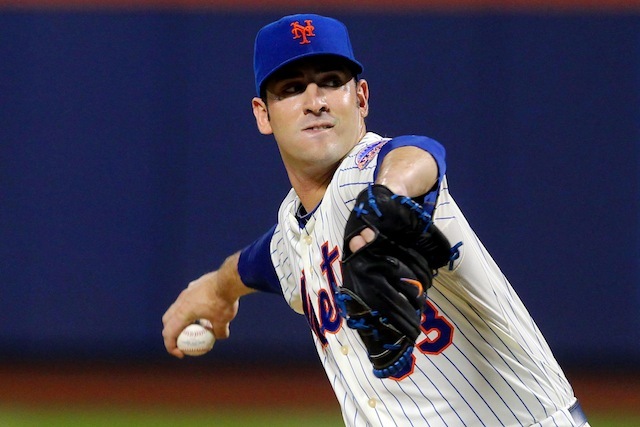 With a 3 run lead and the top of the order due up in the 8th inning, the move to Clippard was a bit less arguable. Fister was on a shutout, but wasn’t half as dominant as Jordan Zimmermann was the previous night. 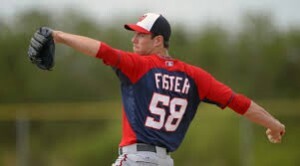 Fister had given up 7 base runners in 7 innings: Zimmermann only 4 in 8 2/3rds. It may smell like hindsight-is-20/20, but I thought this was a good managerial move. Meanwhile, even if the hits off of Storen were mostly weak (going back to last night too; Posey’s single was on a good outside pitch that he nubbed into center and Sandoval sliced a ball the other way, landing it three feet fair, usually a sign of luck and not malice), are you concerned about going back to him with the game on the line? Tonight, the Giants get our sole lefty Gio Gonzalez, who didn’t face the Giants this year. 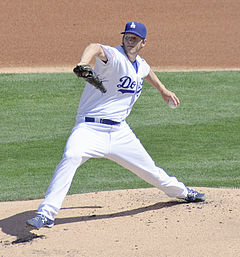 In his sole start against SF last year, he gave up 2 in 7 and took the loss. The Giants as a team possess a .258/.318/.390 slash line good for a wRC+ of 104 against lefties on the year, slightly better than how they fare against righties. So we may brace ourselves for a bit more offense than we’ve see so far. Meanwhile, the Nats get Ryan Vogelsong, who had just a 87 ERA+ for the season and who got absolutely blitzed in the two games he faced the Nats this year (2 starts, 11 1/3 innings, 13 hits and 9 runs). Smells like a high-scoring, get into the bullpen early kind of game. Do you like the Nats’ chances? If we make it to game 5, do you dare to skip Strasburg and go with Zimmermann (who, by the way, would have his normal 4 full days of rest by the time the deciding game rolled around on thurs 10/9/14).